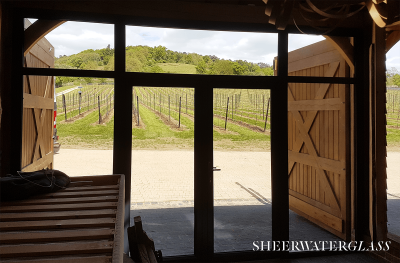 We were very excited with the prospect of working on Chilworth Manor – a 10 acre vineyard site in the beautiful Surrey Hills. They approached us with their conversion project, which was to convert part of their barn into an office space. How could we support them with this? Through installing a durable and energy efficient door. 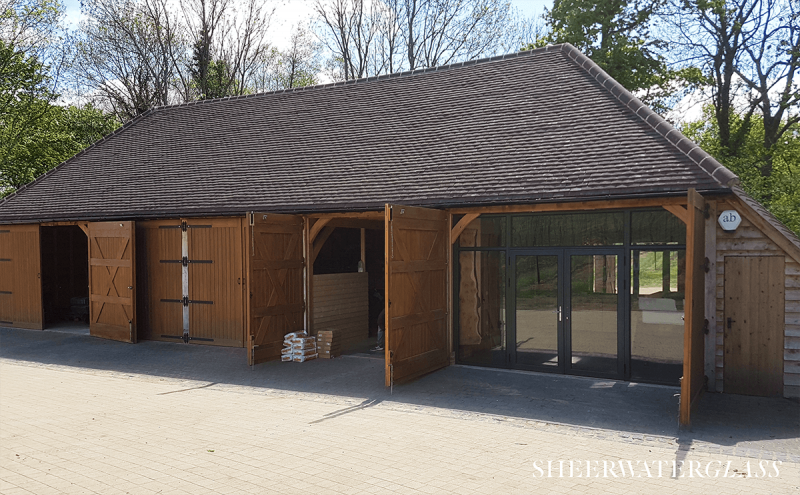 The reason that they required the barn conversion was because they decided to take the step of starting their own vineyard business on the premises; which meant they required an office space for business and admin activities. We installed our Anthracite Grey Aluminium French Doors, which was a fantastic choice for what they needed. 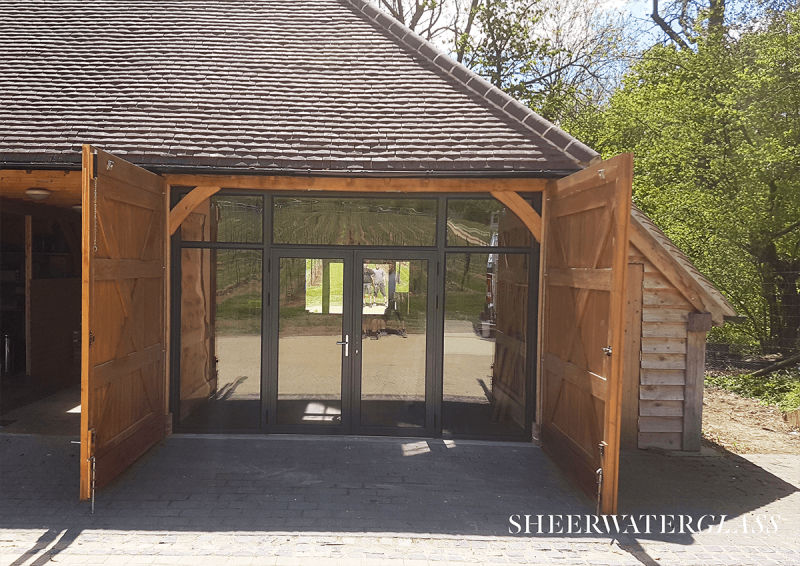 We were able to install these French doors with matching sides and top lights, and an equal leg frame into the existing timber on the barn. Why our Aluminium French Doors work. They’re a strong, reliable and high-performing choice of door. 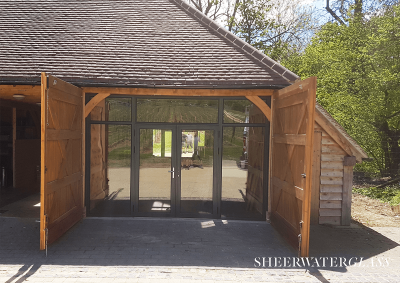 Although it was previously a barn, the doors offer brilliant thermal-efficiency qualities, which immediately improves the heat retention and energy efficiency for the new office space. Along with the increased efficiency, the doors look great too. They’re a modern choice of aluminium French door, providing a flawless slim profile and contemporary finish. Not only that, but because the French doors boasts large glass surfaces, it allows those in the office to look out onto the beautiful view of the vineyard. Could the Installation of an Aluminium French Door work for you too? Take a look at the benefits and designs & colours available to you should you choose to install Aluminium French Doors.